There are many reasons why I love Wychwood. It is a unique day and boarding school for girls aged 11-18, and we know each child, their strengths and their weaknesses and there is nowhere to hide. For me being the Head of a small school matters. Too many girls still go through education hiding their talents away and only in a small school can this be effectively and sensitively challenged. We can help when it is needed, praise and recognise the many, many achievements great and small that make up a school life and exhort and remind when necessary. To get the best out of each girl who passes through our doors is what we aim to do, academically, socially and personally – as it says in our mission statement, we want the girls to go on to live lives that do them great credit. Looking at our alumnae we are proud that this is what a Wychwood education achieves. I truly believe the experiences of and quality of the school that your daughter attends will mould her into the adult she will become. A Wychwood education fires the imagination, engages the soul, stimulates the brain and opens up the world for our girls. Wychwood’s small size means that we offer individual challenge and pastoral care to a far greater extent than can larger institutions. As a result, our girls gain excellent academic results and emerge confident and well prepared for their futures. Our size also affords us great flexibility, be that the flexibility to offer new subjects, to teach different classes in different ways to suit their needs or to provide boarding for one night only to day girls after the return of an evening trip. I take great pride in each student receiving the total support of a highly dedicated, enthusiastic and professional staff, so that girls are able to discover, realise and exceed their initial potential. Our girls develop their own passions and interests and remain tolerant of and open to those of others. Another reason why I love the school is seeing girls in different year groups socialising, working and living together. As I look on to Sir John’s lawn I often hear laughter and see girls of a variety of ages on the swing, chatting, laughing or playing swingball. At the school picnic in June, the impromptu rounders teams coalesced as girls across the year groups and staff came together and the cartwheels celebrating a score came from old to young. This is what normal looks like at Wychwood. To me helping girls to develop a clear sense of self and personal happiness is at the root of all Wychwood does. During her time at Wychwood we help each girl discover what it means to be happy, as this is the foundation upon which lifelong success is built. 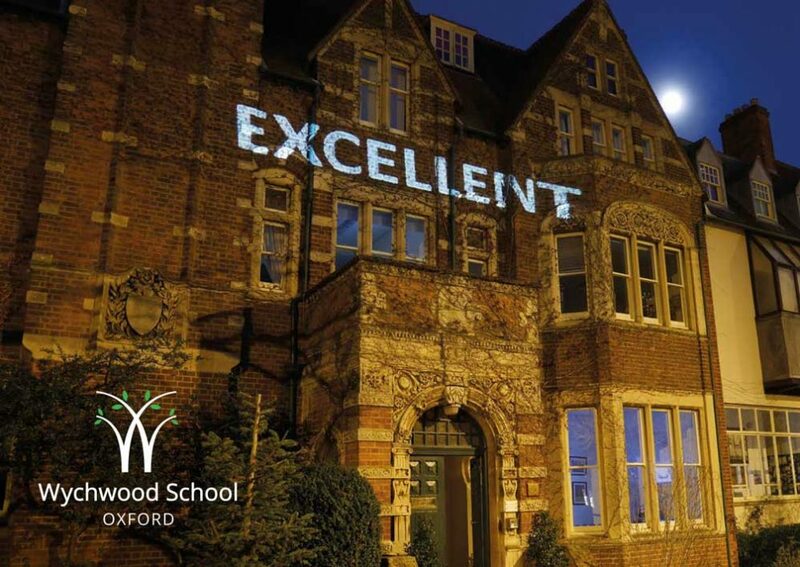 Girls finish their school days being able to deal effectively with the adult world into which they emerge, knowing that they will always be part Wychwood, even as they become part of a global community. Our 120th birthday party was testament to the Wychwood community as 350 Old Girls returned to celebrate the school and all it stands for. Each of them gained the skills needed to make her way in the world just as current girls are gaining those skills. Wychwood girls know how much they have to offer and have the confidence to fulfil their dreams.